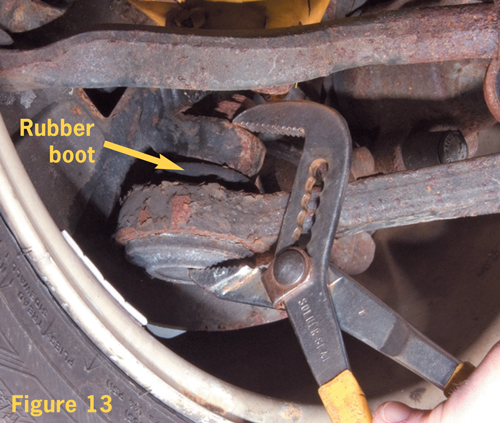 3) Check for sticking brake calipers. Step hard on the brake pedal, then release it. Now spin each front wheel/tire assembly. They should spin fairly freely. 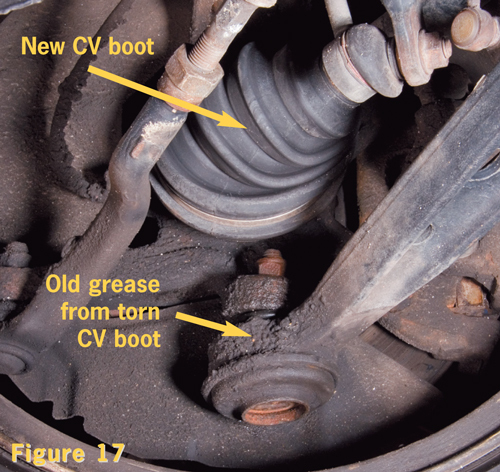 If either one will not spin for at least two revolutions, you may have a sticking brake caliper caused by corrosion between the caliper’s hydraulic piston and its cylinder bore. This would require either replacing or rebuilding the caliper. NOTE: This test is not as reliable for all-wheel or front-wheel drive models, due to the drag of the drivetrain components. However, if one side has noticeably more drag than the other, and the pads on that side are more worn than the other side (step 7), this would be an indicator of a potentially sticking caliper. 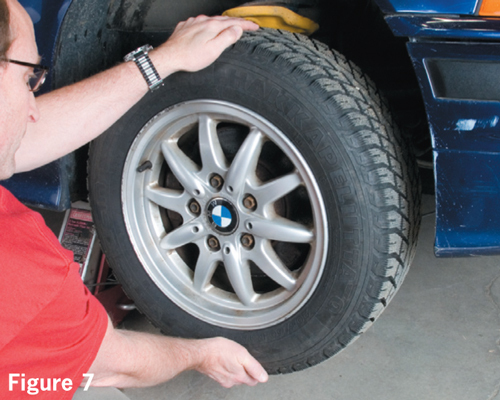 4) Check your tires.Remove the wheel/tire assembly. Inspect the inner and outer sidewalls of the tire for cracking or bulging. Either condition is cause for replacement due to the possibility of blowout. Inspect the tire tread: it should exhibit smooth and even wear from the inside to outside tread blocks. There should be no cracking in the valleys between the raised tread blocks. The tread depth should be consistent across the tread face. A tread depth gauge will accurately and consistently measure the tire’s tread depth. None of the molded-in wear indicator bars should be as high as the tread blocks. If the wear bars are even with the tread block height, the tires are legally worn out and will be far more susceptible to hydroplaning in wet conditions and they should be replaced. (fig. 8). Carefully rub your hand across the tread blocks, in various directions: you should feel no sharp edges to the tread blocks (feather edging). Finally, view the tread surface from different angles; do you see any uneven wear, such as areas that are worn more than the surrounding area? This is called cupping. Here are some other wear issues to look for: Inner and outer tread blocks have less depth than the center tread blocks. This indicates a history of under-inflation. Center tread blocks have less tread depth than the inner and outer blocks. This indicates a history of over-inflation. Inner tread blocks have less tread depth than outer tread blocks. This is generally an indicator of excessive negative camber. This is somewhat common on BMWs – especially BMWs that have been lowered. If the vehicle has not been lowered, but the camber wear is excessive, we offer suspension modifications that allow the camber to be reduced. Feather edging is typically an indicator of an improper toe-in/toe-out alignment. 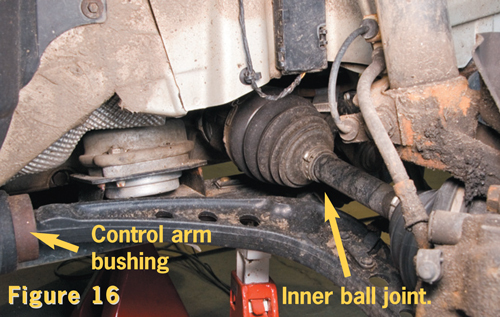 Cupping is typically due to worn out suspension/steering components and/or worn out shocks. 5) Check the valve stems. If they are rubber, gently bend them and inspect for cracking. If cracks are found, they should be replaced. 6) Check the wheels. Look for heavy rusting (if steel) or cracking. Cracked wheels should be replaced. Rusted wheels should be de-rusted, inspected and, if structurally sound, repainted. 7) Check your brakes. Sticking calipers should have already been tested in step 3. 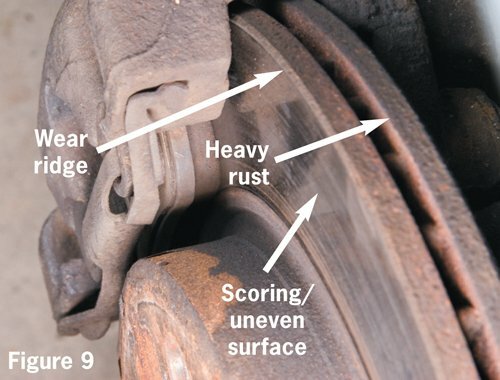 Now inspect the brake rotor for heavy rusting at the outer edges, heavy scoring on the pad wear surface or a heavy ridge at the outer edge of the pad wear surface (fig. 9). 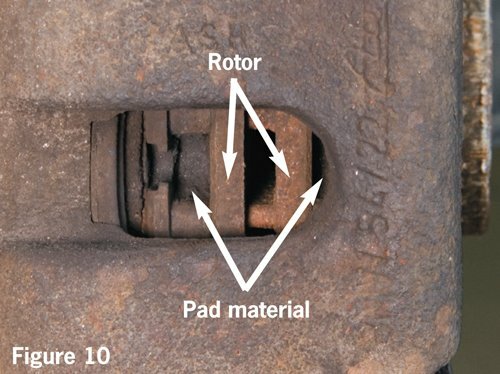 If the pads show 1/8″, or less, of material remaining, you should plan on replacing them as soon as it is convenient, taking note of the rotor condition as well. 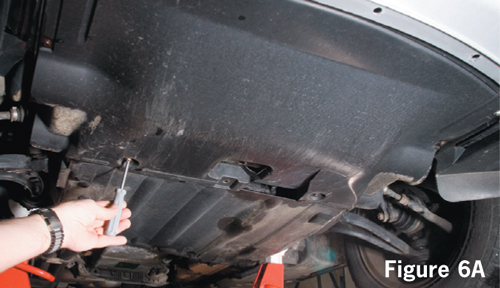 Inspect the rubber brake fluid line that runs from the chassis to the caliper. Any signs of cracks or leakage indicate a need for immediate replacement. 14) Check for fluid leaks. In inspecting for various fluid leaks (coolant, engine oil, transmission oil, power steering fluid, brake fluid, washer fluid, etc. ), it is worth noting that a dry underside on a BMW is not common. Most BMWs will have a variety of fluid leaks. You are in search of the sources of the leaks so you can determine if they are in need of repair. (We naturally encourage you to correct any leak that is found, but some may not be in dire need while others would be imperative to fix.) In searching out the source of a wet spot or obvious leak, sometimes you can simply follow the trail of wet fluid to the source of the leak. Other times, the underside may be so covered in fluids that you cannot tell where the leak originates, or there is so much machinery jammed into the area, you simply can’t see past the myriad of hoses, brackets and other assemblies. 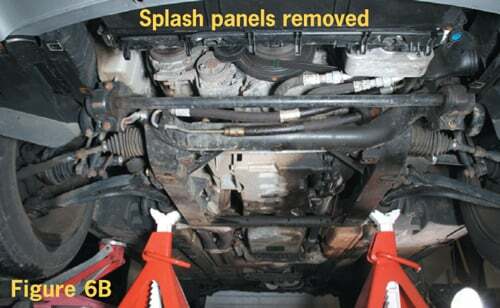 In these cases, it helps to get the area as clean as possible so that you can take note of fresh fluid as it leaks out and down. A spray-can of Wurth brake parts cleaner works quite well for cleaning a fluid- covered underside (purchase a few cans). It will, however, make a mess as it drips down. We like to use the oil absorbent Pig Mat to keep the dripping mess in-check. You can also place the Pig Mats under the vehicle so that you can see exactly where a fresh drip is coming from, making it easier to trace upward to find the source. 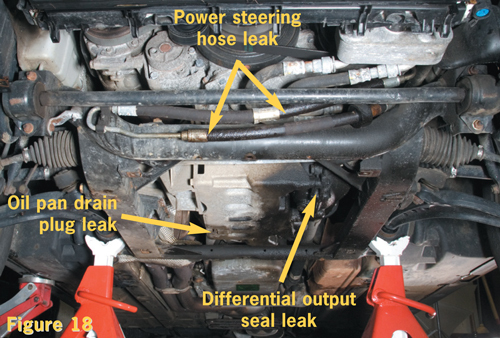 Here’s how to identify a few common fluid leaks (fig. 18). For leaks where the source is difficult to locate, you can use the Leak Detection Kit. This DIY kit includes fluorescent dyes for lubricants (oils), coolant and A/C systems. The dye is poured or injected into the system and as the fluid leaks, the dye will also leak. You then use the included UV light and UV enhancing goggles to follow the leaking fluid to the source of the leak. Engine oil leak. Engine oil will be brownish to black in color. Common sources of leaks are the oil pan gasket, oil pan drain plug seal, oil filter housing, front engine timing cover, valve cover gaskets and crankshaft seals. Once the source of the leak is determined, you can replace the offending gaskets or seals. 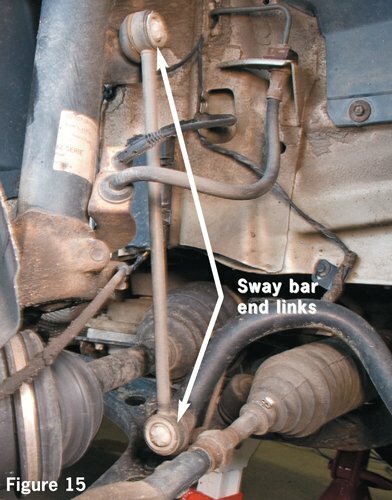 A less common, but potential, source of an oil leak would be the hoses that run from the oil filter housing to the oil cooler, near the radiator. Automatic transmission fluid leak. This fluid will be red to reddish brown, or clear to brownish. The only sources for transmission fluid leakage, forward of the transmission itself, are the hoses that run from the transmission to the fluid cooler in, or near, the radiator. Fluid leaks from the transmission itself can be due to a failed fluid pan gasket, input seal, output seal or shifter shaft seal. Power steering fluid leak. Power steering fluid will be similar in appearance to the automatic transmission fluids, but it has a nasty odor. 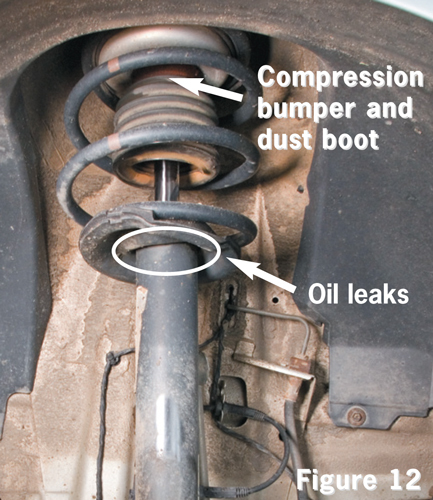 Typical sources of leaks include the hoses, the steering rack or gearbox, and the pump. Hose leakage is also very common. Engine coolant leak. Engine coolant will most typically be blue (if original BMW), green, yellow or orange. Old leaks will leave a trail of white-ish residue, which may help to locate the source. Common leakage points are hose ends, the radiator side tanks, the coolant expansion tank and the water pump (on the engine). Coolant leaks should be taken care of immediately: without warning, a slow leak of small amounts of coolant can become an almost instant loss of all coolant, leading to catastrophic engine failure caused by overheating. Windshield washer fluid. This is most commonly blue, green or pink. 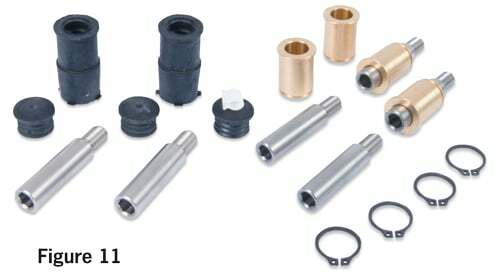 Typical sources of leaks include the grommets around the pumps that are mounted on the reservoir, a cracked reservoir or a cracked, broken or disconnected hose. Headlight washers can also be a source of leaks, so check for spots on the ground under the front bumper. If you are getting a “service engine soon” light. I would start off by reading the engine fault codes. In order to do this you will need to have a engine fault code reader. I would recommend the following unit that we carry.